These smart plugs will please you no matter what infrastructure you're using, as they're compatible with Alexa, Google Assistant, and Aukey Home. They come with built-in WiFi to connect directly to your router without the need for an additional hub and can handle most electrical appliances such as lights, coffee makers, fans and even portable heaters thanks to their 15A - 1800W capabilities. 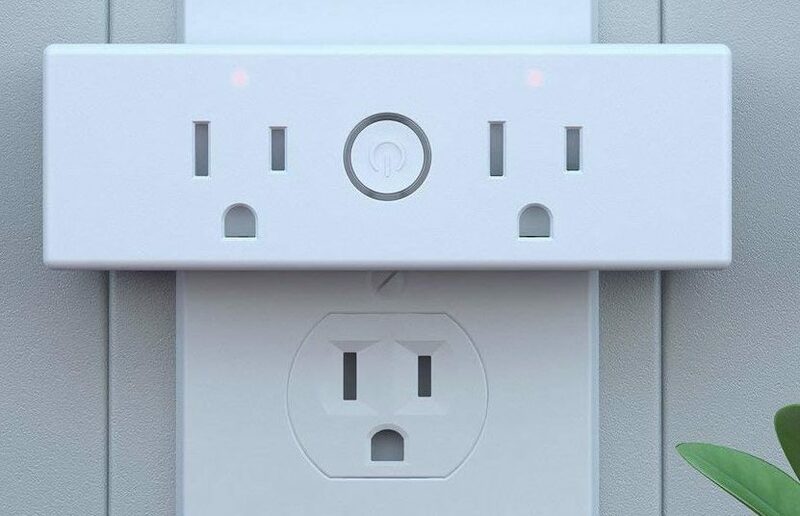 Also, their compact design won't block other sockets so you can still use the remaining ports on your wall. The dual outlets are particularly brilliant, as you can control each of them separately, just as if you had two separate units. Finally, the Home app will let you build custom schedules, so that the lights can be turned on automatically at sunset for instance. If you don't need to add smart plugs to your infrastructure right now, I'd still recommend you purchase these and keep them handy, as they're ridiculously affordable and you may find yourself needing them sooner than you think — to light up your Christmas decorations for example. I've had a great experience with Aukey products and the one time I had an issue with a malfunctioning product, customer support quickly sent me a replacement.